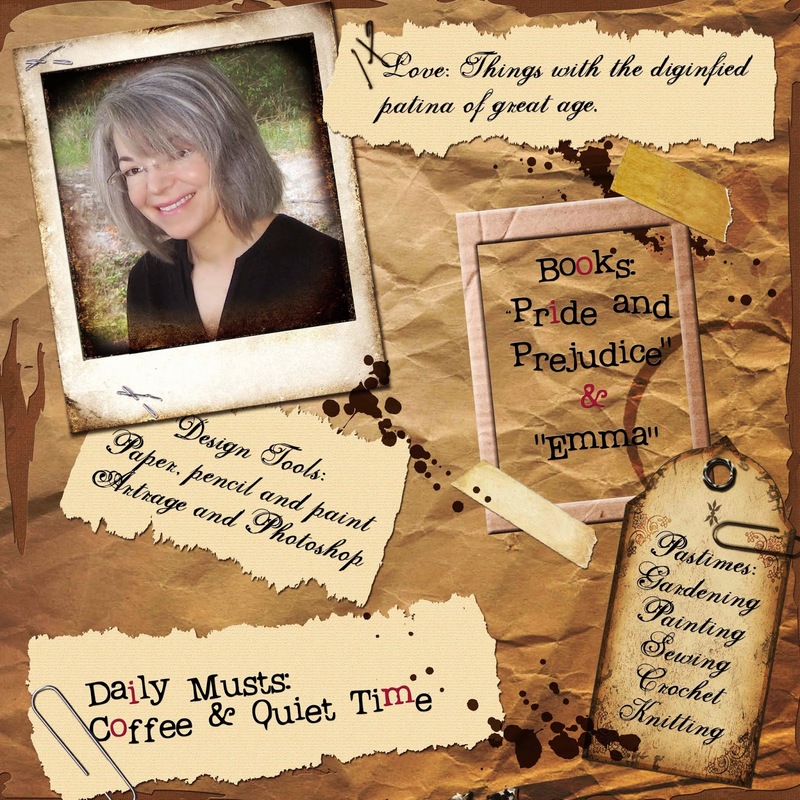 MyMemories Blog: Today's Daily Designer.....DigitalPaperCrafts!!! Behind the paper at DigitalPapercrafts: that’s me, Monette Satterfield. As long as I can remember I’ve loved to draw, paint and create all kinds of things. I’ve taken a varied journey from science through business to writing and art. While I’ve been crafting and creating with paper all along, working digitally brings a whole new dimension. Loving paper and pixels isn’t mutually exclusive! I especially love the challenge of bringing the patina of age to my digital work. The distressed textures and vintage papers in my tag sets, journal kits and scrapbook collections are the result of careful visual thinking and editing and much time spent getting the edges “just right.” The elements and embellishments in my collections are realistic, painterly and rich with the same detail and texture in the backgrounds. They often take quite a while to finish but I feel strongly that they enhance the feel of age and timeworn dignity. To design a collection, I start with an inspiration image or object, often from the natural world, that gives me a design direction. From that I choose a color palette and a theme idea before collecting images, textures, ideas and other inspirational material. These materials then lead me to create the final papers and elements. I love it when people use my work to express their own creativity – it’s my fondest wish that you enjoy using my designs even more than I enjoyed making them. Please visit DigitalPaperCrafts in the Design Shop and enjoy 30% OFF TODAY ONLY!